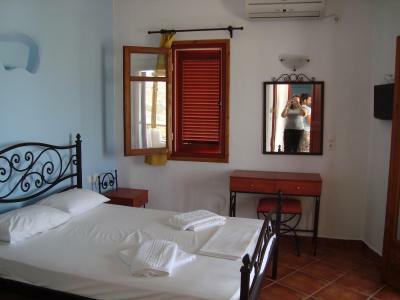 Lock in a great price for Studios Venetsanos – rated 8.9 by recent guests! Small apartment with everything we needed. They picked us up from the port although we didn't expect this. It's a short walking distance. (The reception is at a different building a little farther down the road) Missed a towel top dry the dishes, asked for one and got it immediately. It was possible to rent a bike at the reception. 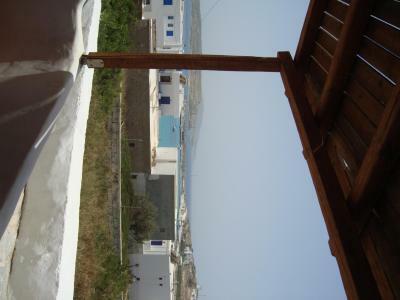 Excellent location very close to port and beach at chora. Very friendly staff, especially George was very kind and helpful. Very nice view from the balcony. Amazing view form our room! Excellent staff and very helpful organising pick up times from and to the port! Would definitely book again! 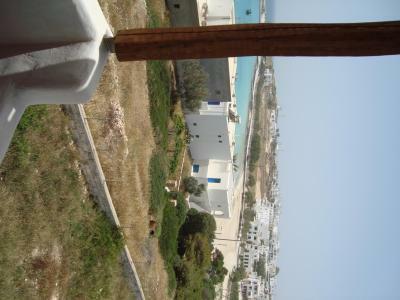 It is close to the main port Beach Ammos, 1-2 min by foot. The room is very clean. 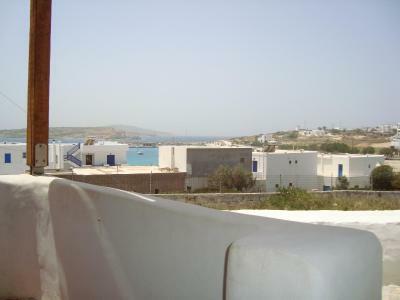 Very central, but so are most hotell in the village by the port. 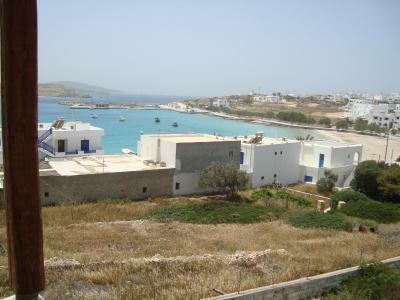 Georgeos was very kind, even offered us transport till the port even though it was fairly close. Very cheap room for what you got! 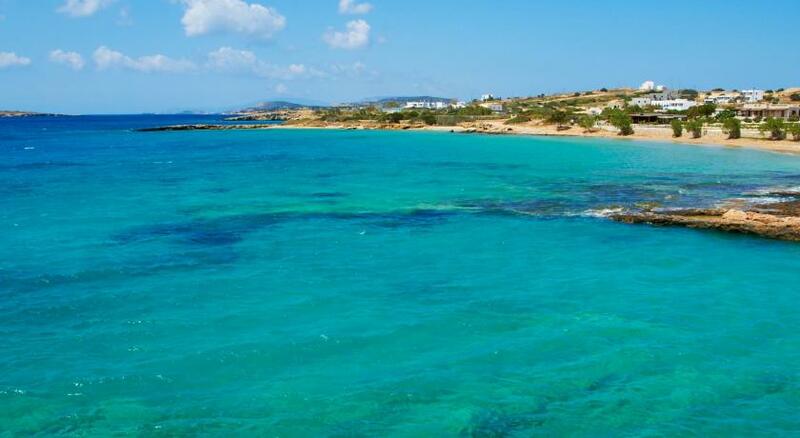 Koufinissia is just a dream. 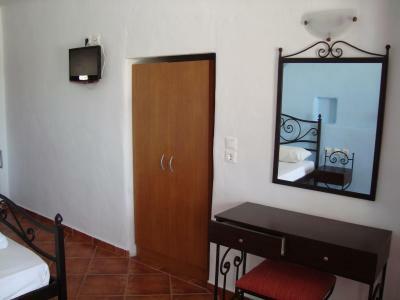 Studios Venestanos is perfectly located (we also stayed next door for a couple of nights) overlooking the beach and town. 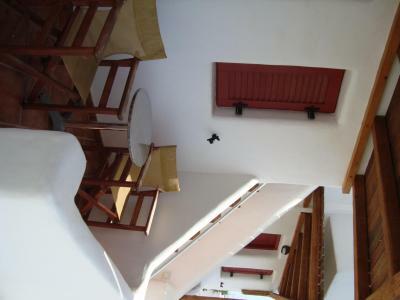 Short walk to the water, port and nearby restaurants. 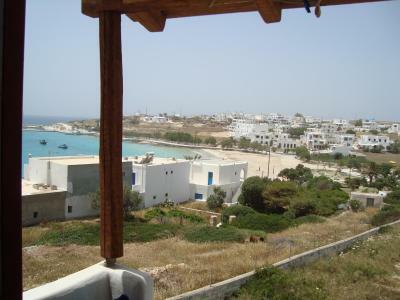 Georgios is probably the most chilled hotel manager I have ever come across and extremely helpful! 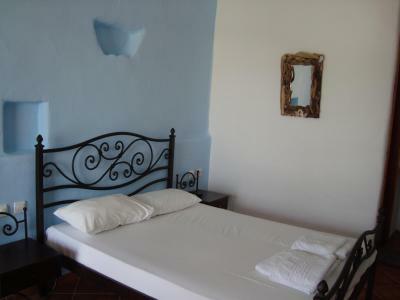 Nice place near the center, beautiful and clean room. 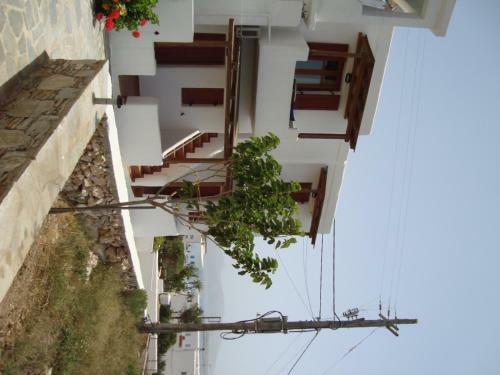 Just 150 feet from Ammos Beach in Koufonisia, the Cycladic-style Studios Venetsanos offers studios with views to the Aegean Sea or the countryside. Restaurants serving fresh fish and traditional recipes are 150 feet away. 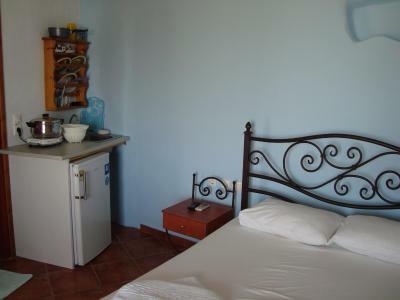 A kitchenette with cooking facilities and fridge is included in all studios at the Venetsanos. 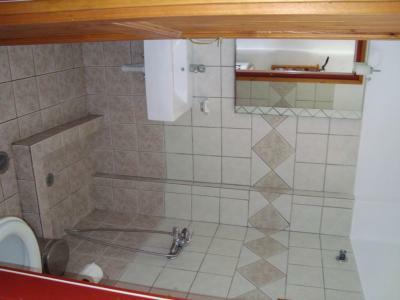 Each has a TV and private bathroom with shower. 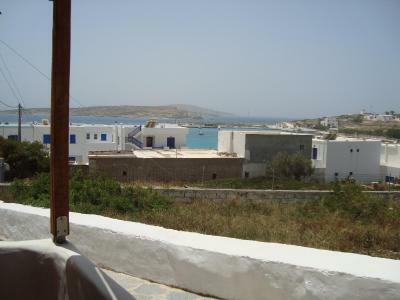 Koufonisia Port is 350 feet away while the village center is at a distance of 150 feet. Staff can arrange bike rental and offer free transfer from the port. Free private parking is possible at the property. 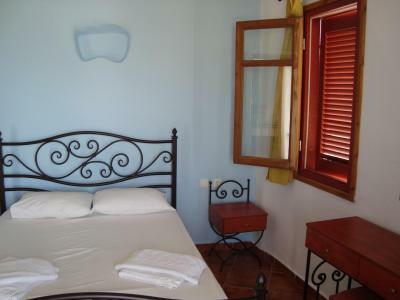 When would you like to stay at Studios Venetsanos? 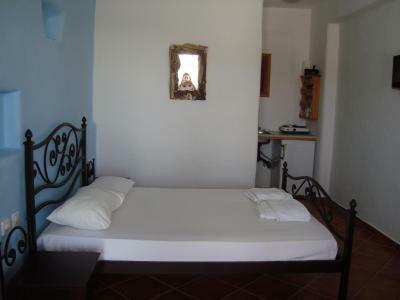 131 feet from the beach, this studio offers views to the countryside. 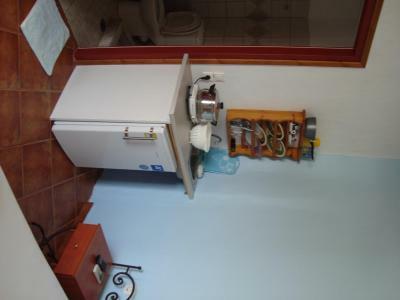 A kitchenette with cooking facilities and fridge is included. 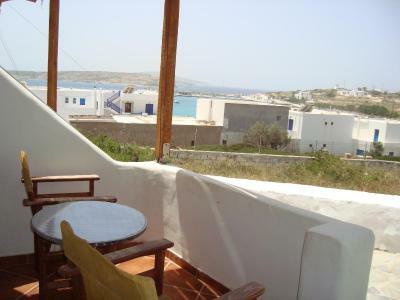 131 feet from the beach, this studio offers balcony with views to the Aegean Sea. 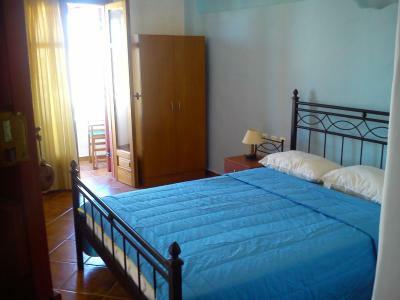 A kitchenette with cooking facilities and fridge is included. House Rules Studios Venetsanos takes special requests – add in the next step! Please inform Studios Venetsanos of your time of arrival at least 1 day in advance. WiFi did not work even if it was mentioned in the room details. 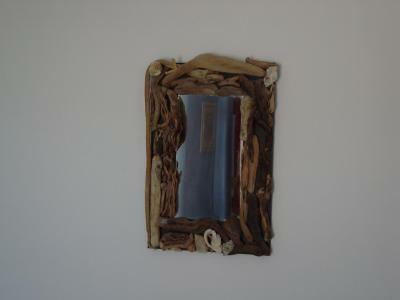 Tv also. Hot water was not available occasionally. Bathroom shampoo was not enough. Georgios waited for us in harbour. 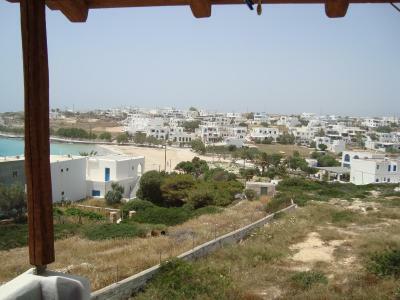 You can see the sea through buildings from ground floor and from 1st floor the balcony is very small even if the view is great. Internet was not working at all. No drapes in the shower, but was never really a problem.